Georgia McKay, 22, from Strathaven has been appointed Sales Manager at the exclusive venue, with responsibility for bringing in a host of events on non-race days. Her new position is with Sodexo Prestige Venues & Events, the exclusive catering and hospitality partner at the racecourse. It makes her one of the youngest ever Sales Managers with the company, which partners with 17 exclusive venues across Scotland. The hospitality specialist has built its reputation on using locally-sourced and sustainable produce wherever possible and is delighted to also be employing the best local talent. Georgia joined Sodexo after leaving Strathaven Academy, opting for the career move instead of taking up a place on an Event Management degree course at the University of West of Scotland. Her promotion comes after four years at the racecourse as a Sales Coordinator and the first year of her new position will be spent in a maternity cover role at Hamilton Park. Georgia said: “I am incredibly lucky to have been employed by Sodexo Prestige and to have had four fantastic years with the company so far. I have loved every minute of it. “When I first took on the role as Sales Coordinator, I had little to no experience in the field, but Sodexo Prestige and staff at Hamilton Park Racecourse really supported me and helped me get to where I am today. Bosses at Sodexo Prestige, a proud Investors in People company, say they spotted Georgia’s potential early. She won the company’s title of ‘Sales Coordinator of the Year’ for the UK and Ireland in 2012. Austin Tilsley, Regional Managing Director of Sports, Leisure and Events for Sodexo Prestige, said Georgia’s new managerial position was a fitting recognition of her loyalty, dedication and star quality. He added: “We are delighted to see such great young talent progress within our organisation as we pride ourselves on our ability to spot and nurture the potential of our people. “Georgia has shown great promise throughout her time at Sodexo Prestige and with her experience at the venue, she made for the perfect candidate to fill the Sales Manager position. “She has extensive knowledge of the venue and its unique selling points and she is also very driven and full of energy and ideas. 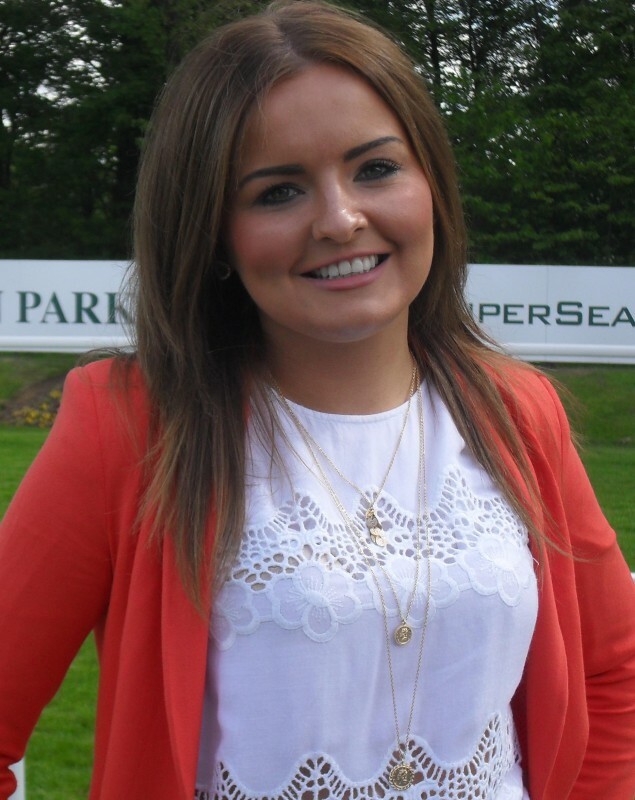 When she arrived at Hamilton Park as a teenager, Georgia started out as Sales Coordinator which included showing round potential customers, dealing with enquiries for the wide variety of events held at the racecourse and organising Christmas parties. Georgia added: “My main priority now is to keep up the bookings for conferences and events at the venue. I’ll be doing that by seeking out new opportunities and introducing unique and exciting packages which will appeal to a wide audience. “It is great fun to be able to work directly with clients and it’s fulfilling to be able to show them the diversity of our venue and how we can adapt it to fit a wide range of events. “Our aim is also to show that our venue can not only provide excellent race days but also to showcase Hamilton Park Racecourse as a versatile venue for a host of other events. “Hamilton Park is a scenic and amazingly versatile venue. One day we can host 1000 cyclists camping in the grounds for Ride Across Britain, the next we are transforming one of our marquees into a spectacular wedding setting.